The youngest protagonist of the documentary is Wartburg, an automobile over 50 years of age. 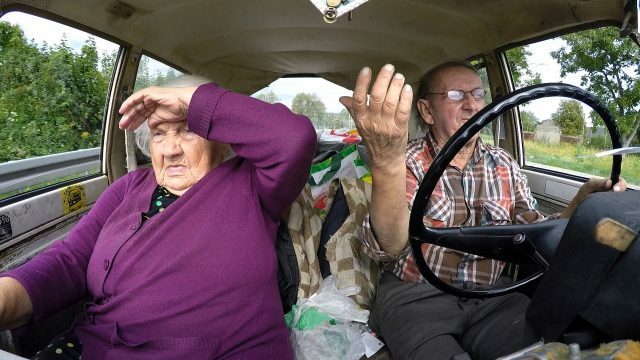 The car is still on the road, driven by Bogdan, who is inside it with his mother Kazimiera. This road movie which takes place between the concentration camp of Majdanek, Poland, and a former Nazi labor factory in Germany is actually a journey into the past, retracing the memories from the war. It is also a portrayal of a unique relationship between mother and son. Bogdan devotes almost all his time to Kazimiera – except for the moments when he proudly presents the quaint ugliness of the car to the people he accidentally meets.